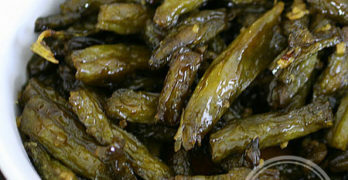 I’m turning over a new leaf. I’ve decided that I’m going to be more crafty. Not in the sneaky way, but in the whole “You turned an old table into a walk-in closet?” type of crafty. I know that the journey towards being a creative DIYer may have a slight learning curve, but I recently came across a new company that can help me along the way – Darby Smart. One of the great things about the Darby Smart DIY kits are that they include all the materials you’ll need to complete the project. I was so excited to work on my mini terrariums, that I completely forgot to take a picture of the contents. 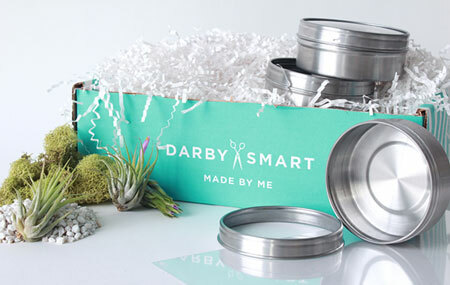 The Darby Smart box arrived in my mailbox and included the project instructions, a sheet of plastic, 3 magnetic tins, glue, rocks, moss, and 3 little plants. The instructions were really easy to follow, and the only things I used that weren’t included in the box were a Sharpie and scissors. 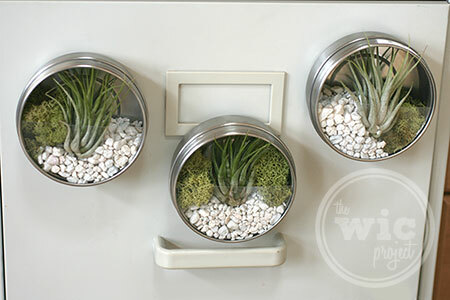 I cut out my plastic circles, fit them into the tin lids, and “artistically” arranged the plants, rocks and moss inside the tins. 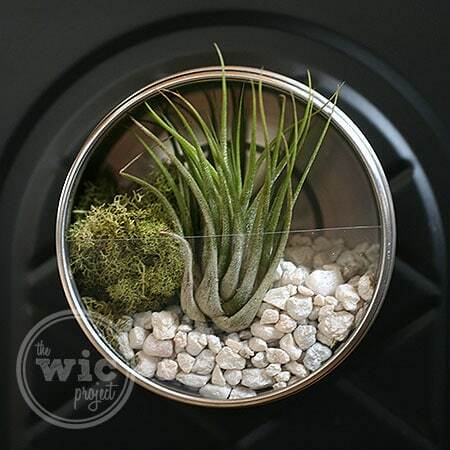 The kit came with three tins which means I now have three amazing magnetic mini terrariums. The only dilemma I face is where to put them. Unfortunately, our refrigerator door isn’t magnetic, so for now, all three tins are stuck on one of Gil’s filing cabinets. I’m pretty proud of myself for doing this project. 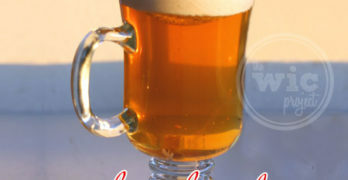 Darby Smart made it easy for me to make without making it too easy. It’s actually given me a crafting boost and I’m going to tackle the wood burning kits next. If you’re looking to get into DIY or craft projects, or just love creating new things, I definitely recommend you give Darby Smart a try. Their individual project kits start at $19 per kit and includes free shipping. 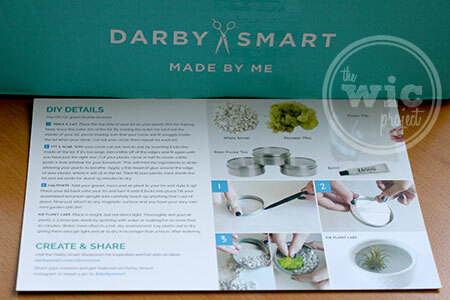 If you love their kits, you can join the Darby Smart TO DIY FOR subscription box and get a surprise kit every month. Use code howdydarby to save $10 and get your first Darby Smart DIY project kit for just $9! What do you think? Would you want to give a Darby Smart DIY Project kit a try? that looks easy and cute–nice job! I have always loved terraruims and these are so cute. They would look great on my refrigerator. What a great project for my grandchildren to do.